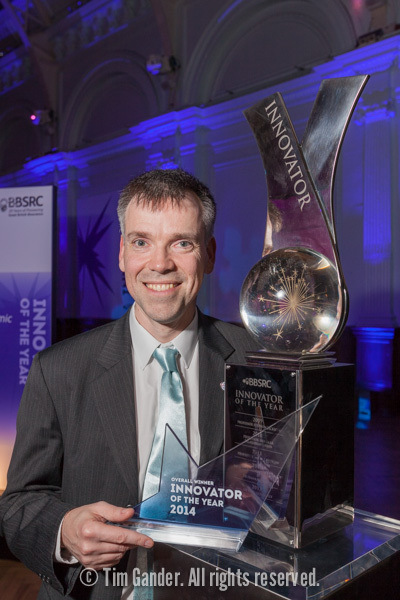 Last Thursday I was in London covering the Fostering Innovation awards event for Biotechnology and Biosciences Research Council (BBSRC), an annual event which recognises those whose research is truly innovative and which will have real impact on society. It’s probably explained better here. My challenge in covering this event is that every year it’s held in a different venue. 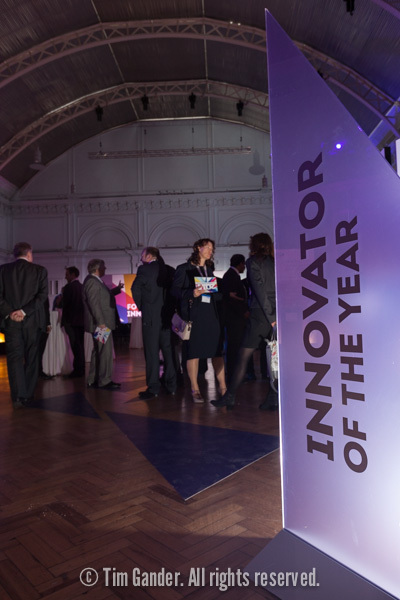 This year it was the Royal Horticultural Halls, a very splendid setting, but the lighting was definitely on the lower side of low. This is often the case with large venues, and while some photographers make a big deal of working solely with natural light, they would have come spectacularly un-stuck in this situation. Whenever I cover an event which involves a stage, a podium and a mixture of general shots and individuals either with their exhibits or receiving awards, if natural light isn’t abundant and of a good enough quality, I get to working out how to use flash without destroying all of the ambience or style of the event. For this venue I decided to set one flash to cover the stage with a view to making it look as if there were a powerful stage light on the speaker (the light set by the AV guys was too weak and too strongly coloured for still images, even if it looked great from an audience point of view) , and the rest I shot with a hand-held flash held a little way away from the camera and using my favourite technique for softening the light to keep it as flattering as possible – direct, camera-top flash is unremittingly harsh and tends not to cover the subject as reliably as I like. The other difficulty of the low light was that sometimes this made it tricky to focus on subjects, but using fast, professional lenses certainly helps with this. It often strikes me that as camera technology has developed, I often find myself taking pictures in scenarios I might once have written off as impossible a decade or more ago. 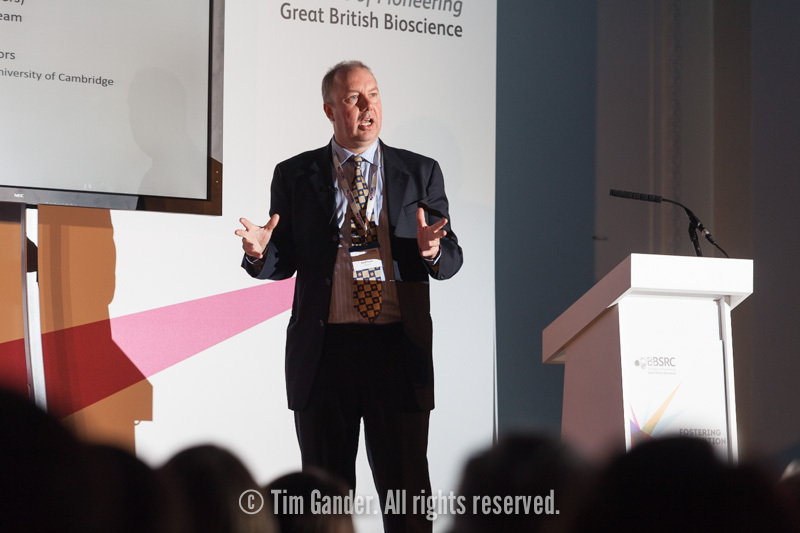 *Please ignore that last statement, BBSRC, I didn’t mean it!